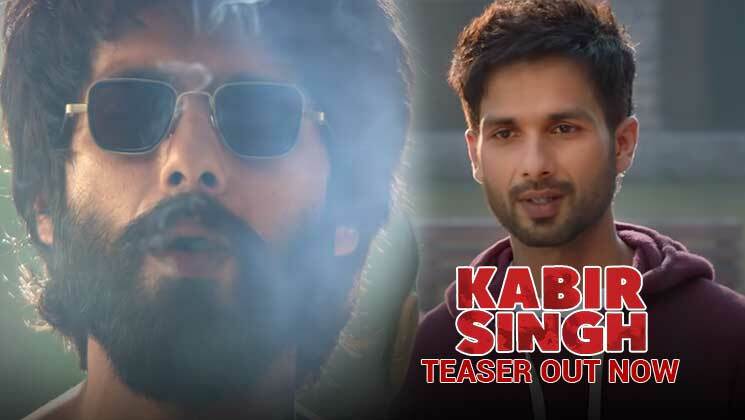 After treating the audience with the terrific first glimpse of Shahid Kapoor‘s character in ‘Kabir Singh’, its makers have dropped the first teaser of this film. And as usual, Shahid is looking terrific as the angry young man Kabir Singh. Directed by Sandeep Reddy Vanga, ‘Kabir Singh’ is the official remake of the Telugu blockbuster ‘Arjun Reddy’. Taking to his Instagram account, Shahid shared the teaser alongside the caption, “I’m not a rebel without a cause. This is ME!!”. In the first shot, we hear a background voice introducing Shahid as the best student ever graduated from Delhi Institute of Medical Science. However, in the next shot, we see him as a drunkard who just can’t live without alcohol. The actor is also heard mouthing some cuss words and we see him in an enraged avatar. A few scenes from the teaser will remind you of the actor’s ‘Udta Punjab’ role. Actress Kiara Advani is playing Shahid’s love interest in the film. She appears in the last shot of the teaser. The film is all set to hit the silver screens on June 21. How did you find the teaser of this Shahid and Kiara starrer? Do let us know.